A divided America? A country reluctant to go to war? A country turning its back on genocide? The year 2016? 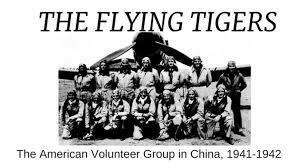 No, the year 1941, the subject World War II the focus of historian Marc Wortman’s new book 1941, FIGHTING THE SHADOW WAR, our guest on The Halli Casser-Jayne Show, 3 pm ET, along with our favorite panel of social and political pundits, our smart, feisty, fabulous, fun, Four Broads Talking™ Lisa Schiffren, Suzanna Andrews, Sheila Weller and our host Halli Casser-Jayne. 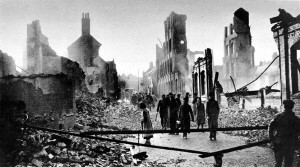 Conventional wisdom dictates that the US entered World War II in retaliation for the bombing of Pearl Harbor on December 8, 1941. 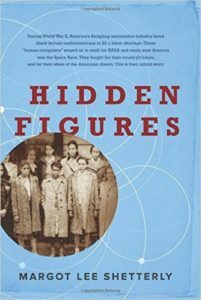 Historian Marc Wortman sees it another way. 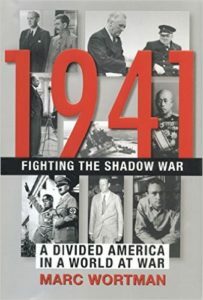 In his new book 1941: FIGHTING THE SHADOW WAR, A DIVIDED AMERICA IN A WORLD AT WAR Wortman compellingly reveals the ways in which America played an increasingly significant and clandestine role in the war in the months and years prior to officially joining the battle. 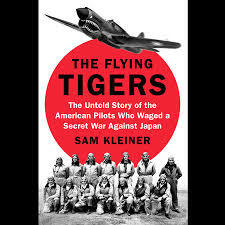 Churchill, Lindbergh, the Roosevelt family, FDR advisor and emissary Harry Hopkins, journalists William Shirer and Philip Johnson, Wortman weaves the smart, suspenseful history that reads like an epic novel. 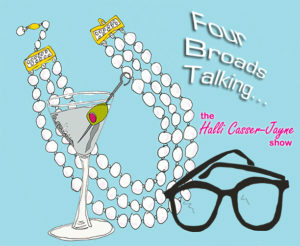 It’s all things Donald Trump, the RNC convention, Melania Trump, Rudy Giuliani, Benghazi and Hillary Clinton in our Four Broads Talking™ segment when journalists Lisa Schiffren, Suzanna Andrews, Sheila Weller, sit down for a chat with our frank, fearless, feisty host Halli Casser-Jayne. Wednesday, December 3, 3 pm ET, The Halli Casser-Jayne Show is taking a look at World War II through the eyes of two well-known writers of historical fiction, the award-winning author Pam Jenoff and James MacManus. Pam Jenoff has written several novels, including the Quill Award nominee, THE KOMMANDANT’S GIRL. Jenoff is a graduate of George Washington University, Cambridge and Penn Law. She served as the special assistant to the Secretary of the Army. 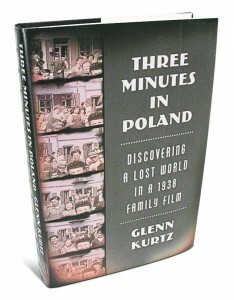 In 1996, after moving over from the Pentagon to the State Department, she was assigned to the U.S. Consulate in Krakow, Poland where she developed an expertise in Polish-Jewish relations and the Holocaust. 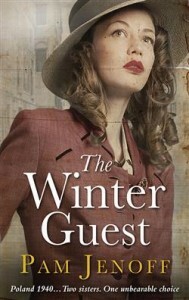 THE WINTER GUEST is her latest book, the story of twin sisters fighting for survival in Nazi occupied Poland and the mysterious American pilot that lands on their doorstep. London born James MacManus was educated at Westminster School and graduated from St. Andrews University. He has worked for the Daily Express and the Guardian first as a reporter and then as a foreign correspondent. He moved to The Times where he serves as Managing Director of the Times Literary Supplement. He is the author of several novels including BLACK VENUS and OCEAN DEVIL made into a film starring Jonathan Rhys Meyers. 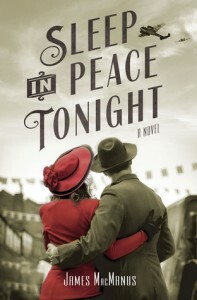 His latest book SLEEP IN PEACE TONIGHT takes place in 1941 London, and brings to life the tale of Harry Hopkins, the adviser to Franklin D. Roosevelt dispatched to London on the eve of the Second World War and the history-making relationship he forms with Britain’s Prime Minister Winston Churchill. 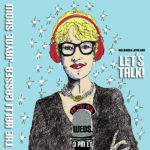 History, romance, World War II with respected authors Pam Jenoff and James MacManus on The Halli Casser-Jayne Show, Talk Radio for Fine Minds, Wednesday, December 3, 3 pm ET. Tune in online at Halli Casser-Jayne dot com.